2000, Warner Elektra Atlantic Corp.
Barry/Gray/Higgins/; Barry/Taylor; Bolton/Mangold; Bono; Bryant; Child/Warren; Clark; Cohn; Dylan; Griffiths; Hill/Sinfield;... Very Good. In very good packaging. Cher-Cher: The Greatest Hits by Cher. Barry/Gray/Higgins/; Barry/Taylor; Bolton/Mangold; Bono; Bryant; Child/Warren; Clark; Cohn; Dylan; Griffiths; Hill/Sinfield;... Fine. In fine packaging. 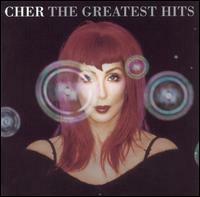 Cher-Cher: The Greatest Hits by Cher. Barry/Gray/Higgins/; Barry/Taylor; Bolton/Mangold; Bono; Bryant; Child/Warren; Clark; Cohn; Dylan; Griffiths; Hill/Sinfield;... Very Good. In very good packaging. 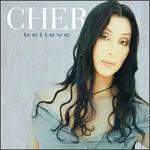 Cher-Greatest Hits by Cher. Barry/Gray/Higgins/; Barry/Taylor; Bolton/Mangold; Bono; Bryant; Child/Warren; Clark; Cohn; Dylan; Griffiths; Hill/Sinfield;... New. Very Good. 632427513520 Item in very good condition and ready to ship-Guaranteed to play! ! Good. Good condition. Audio CD. Disc slightly scratched. Case Very Good. Quality guaranteed! In original artwork/packaging unless otherwise noted.